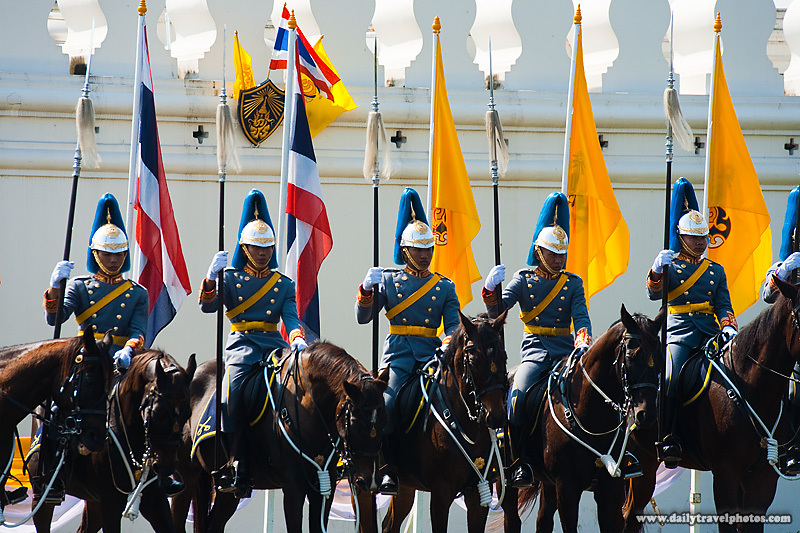 His Majesty's Royal Mounted Guards await the arrival of the King of Thailand for his 83rd birthday decree at the National Palace in Bangkok. 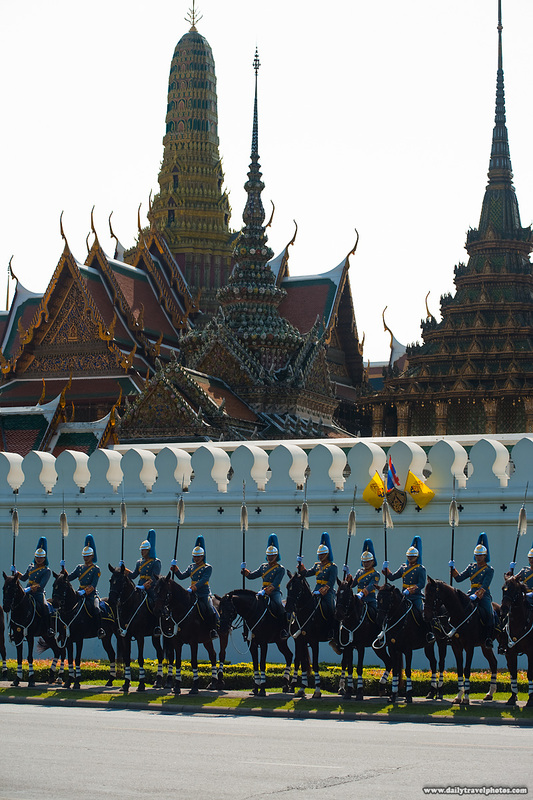 The parade had passed with nary a picture possible over the horde of King Bhumibol fans ahead of me. After clawing through throngs of humanity, I was able to switch to a slightly better position with an off-chance of viewing the King up close! The King's Royal Mounted Guard awaits his arrival under a blazing afternoon sun. 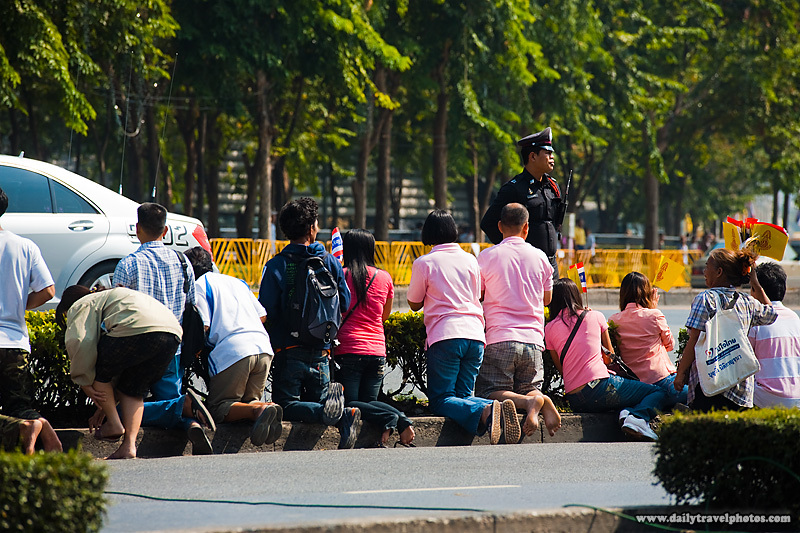 The King's loyal subjects are required to kneel and bow as his Majesty's royal minivan wheels by. Along with compulsory kneeling, hats and sunglasses must also be removed. Direct eye-contact was fortunately not discouraged. Luckily so, otherwise, I may have missed the queen sending me a heart-felt wave!